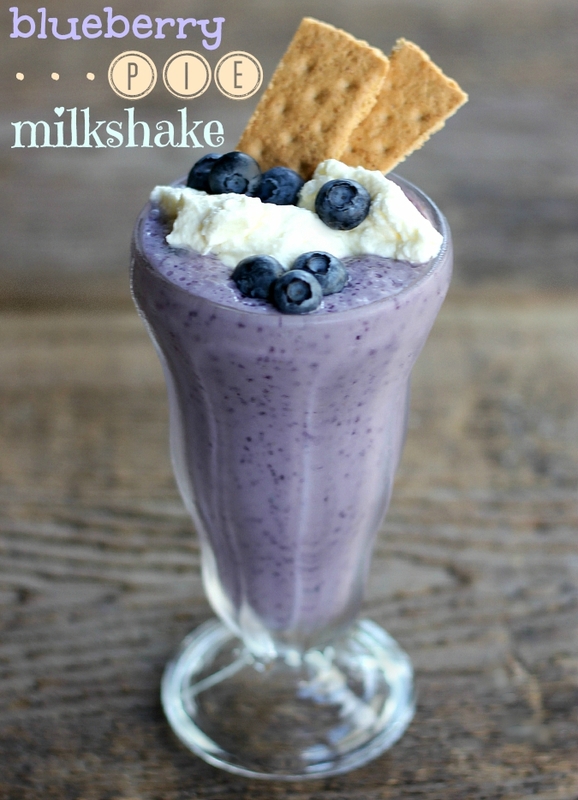 i have had this idea to make a blueberry pie milkshake for a few weeks now. things like this pop into my head at random times, like when i'm on the elliptical at the gym. if there's nothing good on tv at the gym, my mind starts wondering and i usually end up thinking about food, because let's face it, when am i not thinking about food. 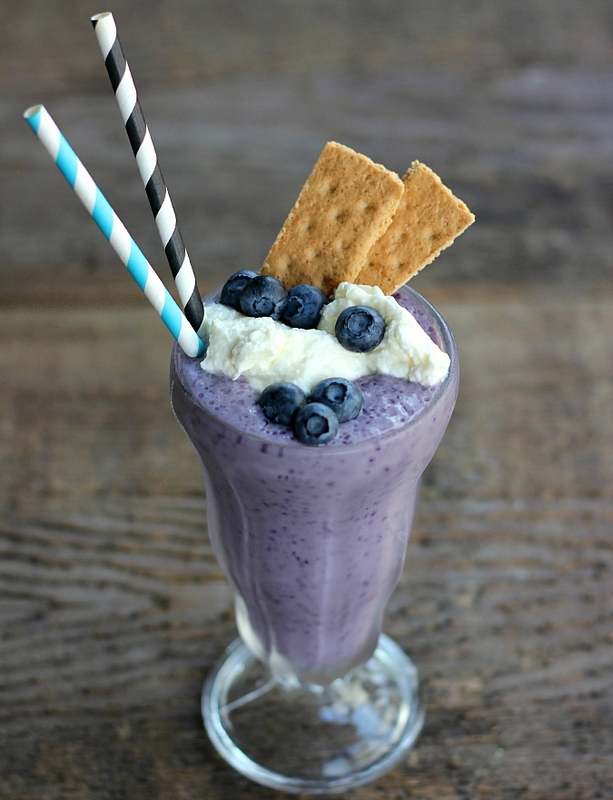 i dreamed up this milkshake on the elliptical. that right there is probably an oxymoron, or counterproductive, or something, i'm sure. anyway, while mindlessly peddling away on the elliptical, i thought to myself: "what if i could make blueberry pie into liquid form?" it was all down hill from there. we had fresh blueberries in the refrigerator, an unopened pack of graham crackers in the kitchen cabinet, and vanilla bean ice cream in the freezer. you see how my brain works? 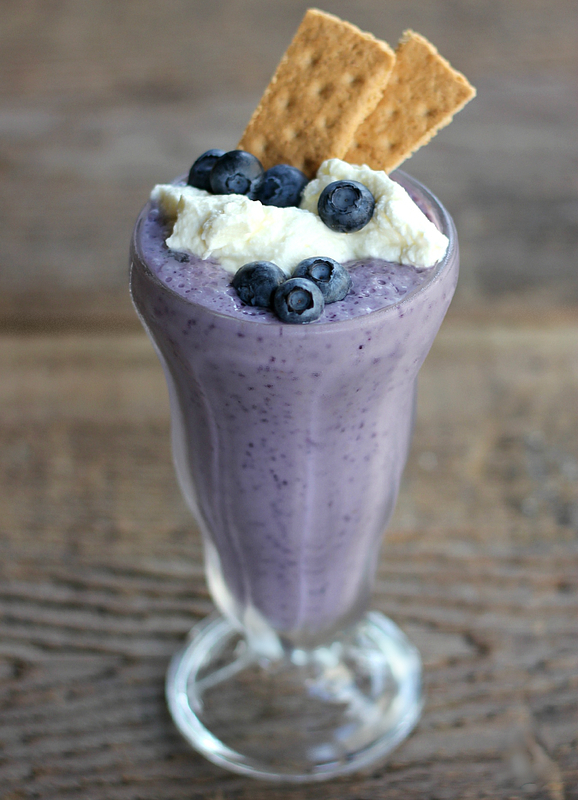 blueberry pie ala mode in milkshake form . . . genius. 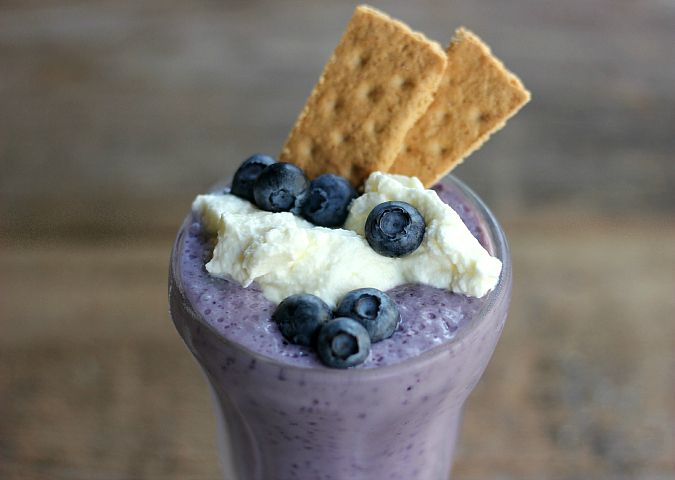 the blueberries are fresh and bright, the graham crackers give the taste of pie crust, and of course blueberry pie would not be complete without a scoop of vanilla bean ice cream. all of the flavors combine perfectly to make a heavenly milkshake that is equal parts delicious and sinful. i couldn't stop there. oh no. i just happened to have heavy whipping cream in the refrigerator, so the only right thing to do was to add a dollop of fresh homemade whipped cream to the top of this masterpiece. oh yes. gosh, look at that gorgeous purple-blue color! no food coloring here, my friends! you could, of course, substitute any other fruit in place of the blueberries. let's make all different flavors of delicious fruit pie ala mode milkshakes! now, if you have some type of an aversion to milkshakes, or if you find that you just can't finish this whole milkshake (yeah right) let me let you in on a little secret: if you take this glorious mixture out of the blender and pour it into popsicle molds then freeze it, you will have one heck of a delicious popsicle on your hands. just saying, i may have done that too. hey, it's the summer . . . live a little! 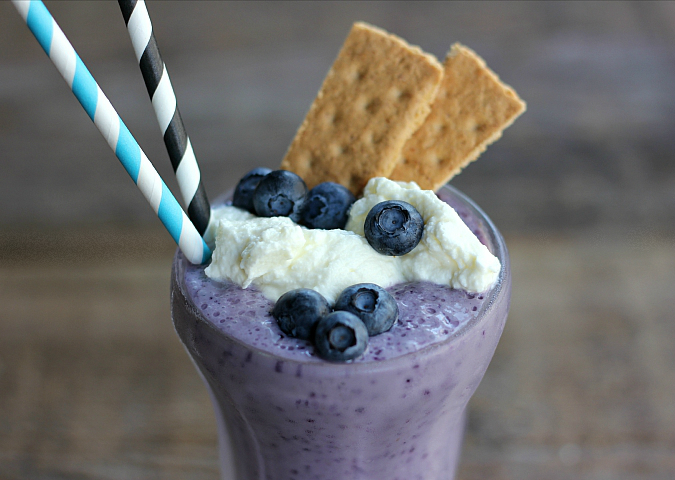 combine the blueberries, graham crackers (broken into small pieces), ice cream, and milk in a blender. blend until smooth. add ice cubes and blend to reach desired thickness. top with homemade whipped cream. This looks delicious and very pretty too! That looks refreshing. Love the color of the drink.